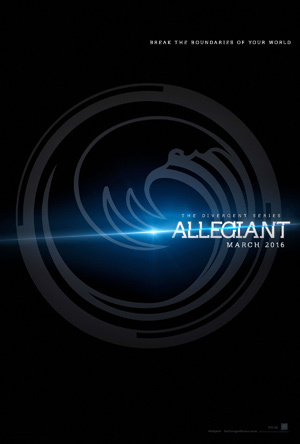 Shailene Woodley, Theo James and Miles Teller star in the dystopian action sequel The Divergent Series: Allegiant, based on Veronica Roth’s young-adult novel. Check out the new movie trailer and posters below. 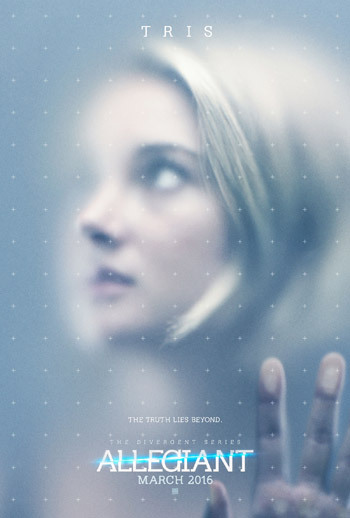 The third installment begins as Tris (Woodley) and Four (James) venture into the world outside of the wall and are taken into protective custody by a mysterious agency known as the Bureau of Genetic Welfare. 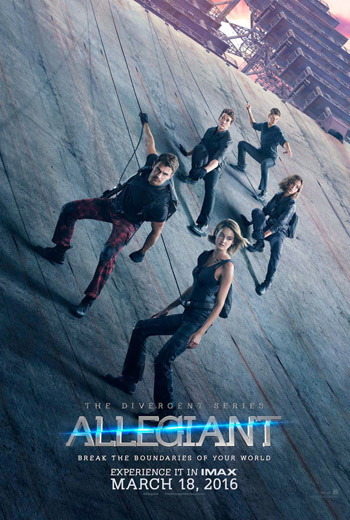 The third installment of the blockbuster Divergent series franchise, ALLEGIANT takes Tris (Shailene Woodley) and Four (Theo James) into a new world, far more dangerous than ever before. After the earth-shattering revelations of INSURGENT, Tris must escape with Four and go beyond the wall enclosing Chicago. For the first time ever, they will leave the only city and family they have ever known. Once outside, old discoveries are quickly rendered meaningless with the revelation of shocking new truths. 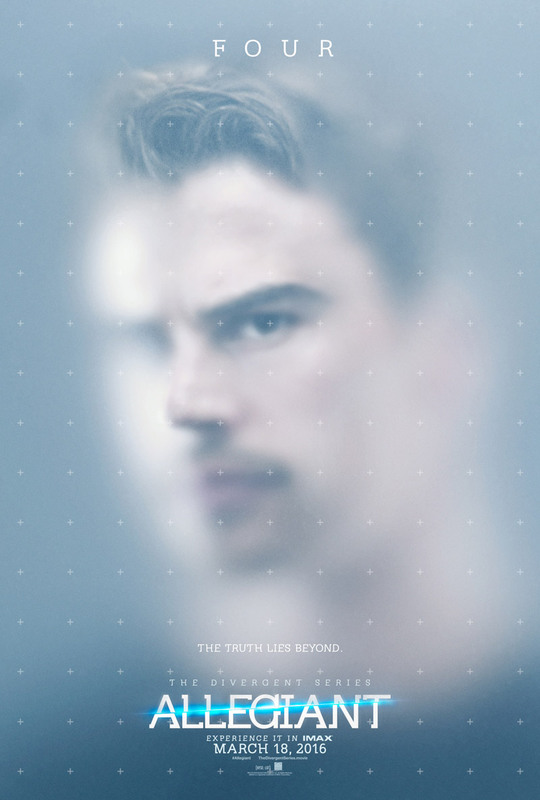 Tris and Four must quickly decide who they can trust as a ruthless battle ignites beyond the walls of Chicago which threatens all of humanity. In order to survive, Tris will be forced to make impossible choices about courage, allegiance, sacrifice and love.